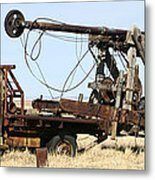 Thank you for buying a 40.000" x 13.375" print of Vintage Water Well Drilling Truck to a buyer from Ramah, CO. Thank you for buying a Shower Curtain of Vintage Water Well Drilling Truck to a buyer from Olin, NC. Thank you for buying an IPhone 6s Plus Tough Case of Vintage Water Well Drilling Truck to a buyer from Olin, NC. 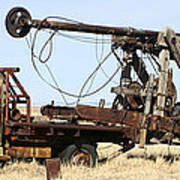 Thank you for buying a 40.000" x 13.375" print of Vintage Water Well Drilling Truck to a buyer from Ramah, CO., Vintage water well drilling rig photographed by Jack Pumphrey abandoned on a ranch in north central New Mexico, It was critical that you hired a well driller who had the knowledge and expertise regarding wells in certain areas so you�ll have the proper quantity and quality of water, once the best site is located for the best site for your water well, drilling begins with our rotary rig, if they didn�t obtain water this way, they begin the surging process, bringing in our cable tool to open up water veins to increase the flow of water, while many water well drilling companies charge for this extra service, this one didn�t, losing money and the business.